Now when I started writing this post I knew I had lot's of tips to share with you but I didn't really know how to organise them, let alone sum them up into five points. So I thought why not give you guys a little bonus right at the beginning. 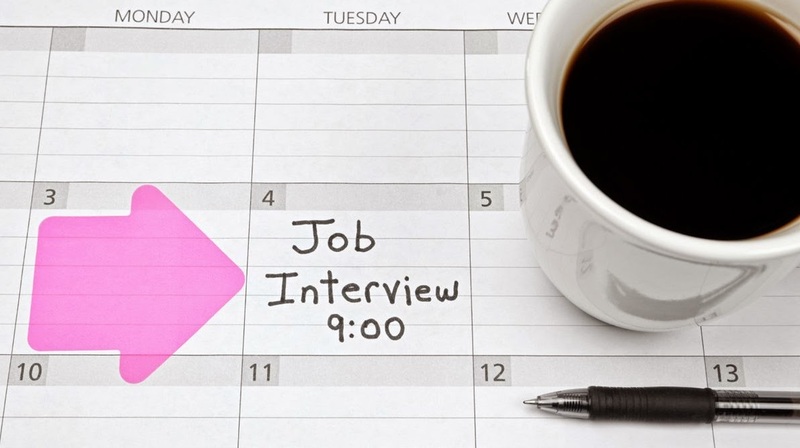 Before you go into a job interview there are a few things you might want to consider. First, prepare yourself for the question 'why do you want to work at out company'. This is where all that research you did comes in-handy, show them you know much about the company and try to link it with some of your own interests, the more you know the better. Second, make sure you bring multiple copies of your resume. You might not need it but in case the person you are interviewing with asks for it, you can hand it over - better be safe than sorry. And don't be late! That goes without saying, I guess, but I always ask myself when I should leave in order to be on time. Always give yourself an extra 20 minutes for potential traffic. People always say that the first impression is the one that stays and I think this is so true. So walk, talk, look interested, be confined (not cocky), be friendly, smile and maintain eye contact. Also think about the dress code. Dressing smart is a good choice but try to keep in mind what industry you are interviewing for. When you want to work in a bank, a shirt and trousers or a smart skirt is a safe bet but when you, let's say, interview at a record label a shirt/skirt combo might not be the right choice. Same goes for your makeup, try to see a job interview as a first date with someone you've never met before, you want to look your best without looking like you are trying too hard. And to all my bright lipstick lovers out there, you might want to leave your red lipstick in your purse and safe it for later. Prepare yourself for the question 'tell me about yourself' by planning out your focus and pointing out relevant skills that you have, early in the interview. The worst thing you want to do is say something like 'well I'm open, friendly, hard working and enthusiastic. I've done this and that before and yeah, well that's about it'. Try to convince them that you are the person you say you were in your application letter, but be real. Try to talk for about a minute, that's long enough for you to explain who you are but not too long that the interviews things you are bragging. When you successfully get past this question, you know what's coming next. 'What would you say are your greater weaknesses'. This questions is not supposed to make you look bad you trap you in any way, the interviewer just wants to know if there is anything he or she should keep in mind. Now avoid answering it by saying: I work too hard. That's not really a weakness, is it? This way the interviewer will know that you are trying to avoid this answer and will probably get more suspicious. So instead you might want to try to answer the question without really answering it. You want to say something like 'I'm sure that I'm not perfect but according to the job description, I feel like my skills and experiences are a close match. I don't see any reason why I couldn't get up to speed quickly'. That way you definitely answered the should I worry part without saying anything negative. When talking about your skills focus on the ones that will benefit them immediately. Employers want to hear that you can get up to speed in no time and contribute to their company immediately. Also try to support your claim of being the best candidate by providing examples of situations that show how you can use these skills. Perseverance, for instance. Always a good skill to talk about. When I talk about my ability to get things done I always like to talk about the way I landed an one-month internship at a five-star hotel in London who usually doesn't accept interns under six months. I did all the things I talked about in my last post. Called them, asked if I could speak to the manager, explain them my situation and asked for an interview. I then traveled to London spoke to the manager and made sure to follow up with a call. A month later I got an email accepting my request. For some reason, whenever I tell this story, I get an 'oh really you seem to be very determined'. Which is always a plus. Last but not least, the salary question. Now don't be shy when it comes to this question, it's perfectly okay to ask how much you will earn but wait until the end or at least until you are half way through the interview. Otherwise you can give the impression that you are only doing it for the money, which should not be the first thing that comes to your mind when applying and/or interviewing for a job.